The state of Arizona has an extremely punitive stance on drunk driving. Law enforcement is trained to be vigilant when looking for drivers who may be under the influence, and will arrest individuals who they suspect to be operating a vehicle illegally or recklessly. With aggressive law enforcement, if you are pulled over and accused of driving under the influence, the chances are high that you will be arrested and charged with a misdemeanor DUI. Although the least serious of the DUI offenses, a misdemeanor DUI still comes with severe penalties that reach the limits of a misdemeanor classification. Considering this fact, having legal counsel in the form of a criminal attorney defending your name if ever presented with this difficult situation, will be a huge benefit in your chances of reaching a favorable verdict. A DUI conviction can follow you for the rest of your life. This can negatively affect your social, professional and financial well-being. This will stay on your permanent record possibly making the goals you had for your future virtually impossible. James E. Novak understands the implications of a DUI conviction in Arizona, and has represented many individuals dealing with this stressful and complex legal situation. His previous casework and experience has allowed him to hone his ability to defend alleged offenders in the court of law in a measured, yet aggressive manner. This legal understanding, along with a commitment to those he serves, makes James a strong choice for legal representation. To schedule a free and confidential consultation to go over the details of your pending criminal case, call (480) 413-1499 or send an online message today. The Law Office of James E. Novak proudly represents individuals accused of DUI offenses in Giilbert, Chandler, Scottsdale, Phoenix and surrounding areas. Additionally, an individual can be under the influence if they are impaired to the slightest degree. This means an individual can have any amount of alcohol and be arrested for DUI in Arizona if the arresting officer believes they are impaired at all. 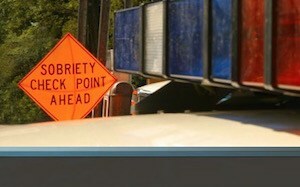 Misdemeanor DUI offenses, although not as serious as a felony DUI, will still come with severe penalties if convicted. To be specific, an Arizona DUI with no aggravating factors is a Class 1 Misdemeanor as referenced under A.R.S. §28-1381. A Misdemeanor DUI will be escalated to a felony DUI if aggravated by several factors including the existence of a prior DUI conviction, driving on a suspended or revoked driver’s license, DUI with a child under age 15 in the vehicle. If you or a loved one has been arrested for a misdemeanor DUI offense in Arizona, it is important that you immediately begin working with a qualified criminal defense attorney who can effectively represent you in the court of law. A DUI offense requires an aggressive and well-informed defense lawyer who can take all of the factors in the case and develop a strategy that puts you in a favorable position to get the charges reduced or dismissed. His experience and legal understanding will allow him to represent you in a timely and efficient manner, and in doing so, increasing your chances for a favorable verdict. Call (480) 413-1499 or send an online message to schedule a risk-free consultation to go over the specifics of your burglary case today. In addition to serving Mesa, James also represents individuals throughout Phoenix, Gilbert, Chandler, Tempe and Scottsdale.